Product prices and availability are accurate as of 2019-04-14 07:39:53 UTC and are subject to change. Any price and availability information displayed on http://www.amazon.com/ at the time of purchase will apply to the purchase of this product. 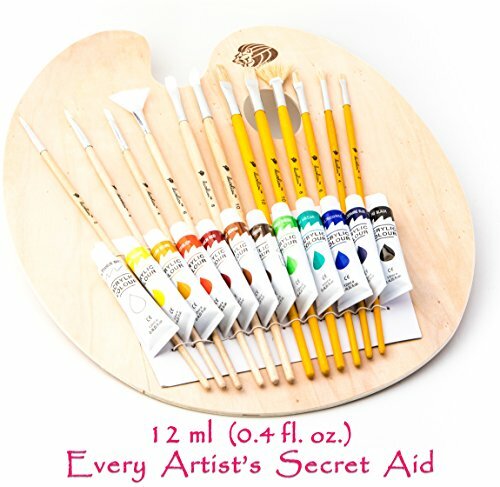 The Secret Behind Every Great Artist... is expression in each paint brush stroke! "Every Painting is a Highway of Imagination." Exceptional Quality at Significant Savings! 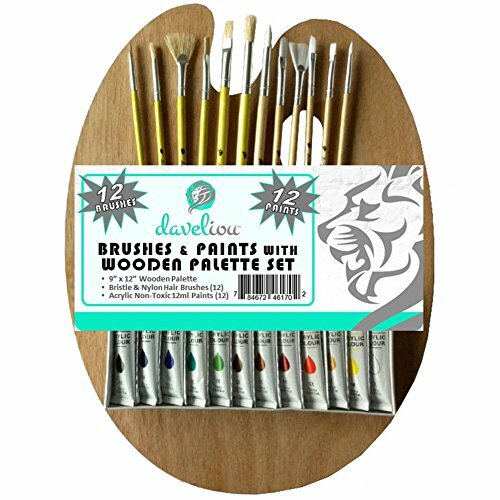 - Safe for educational and nail art usage. - Squeeze tubes provide exact efficient paint application. 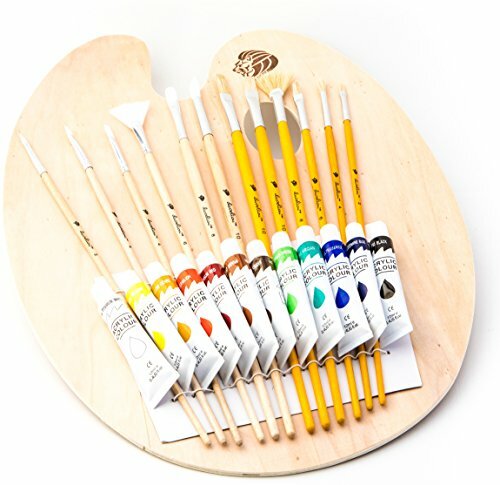 Your paints and brushes are an investment. Thorough cleaning after each session helps performance and longevity. Backed by a No-Hassle Lifetime Free Replacement Pledge. Click the 'Add To Cart' at the Top of this Page NOW! 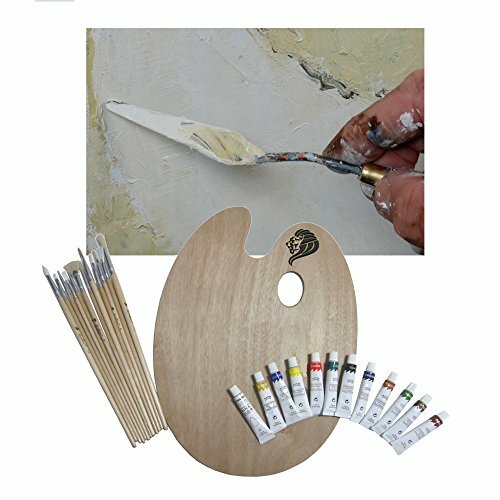 DURABLE & RESILIENT: The Daveliou artist grade Acrylic Paints Brushes and Palette are manufactured in our manufacturing facility working in partnership with some of the finest brush and paint making families, pioneering new artist tools and newest technologies, but always respecting the tradition of hand crafted products. 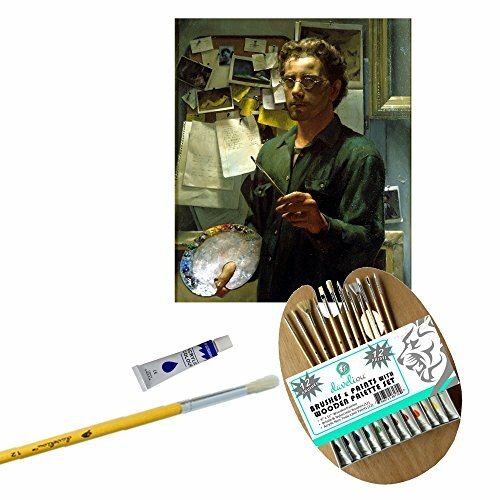 Ideal for studio and outdoor setup, and more... VERSATILE ASSORTMENT: Traditional hand-finished lightweight palettes are designed for balance and comfort reducing hand-strain and fatigue, perfect for extended painting sessions in acrylics or oils! Manufactured from ethically sustainable wood that's durable and economical. For best results treat with 2 coats of linseed or tung oil before using. 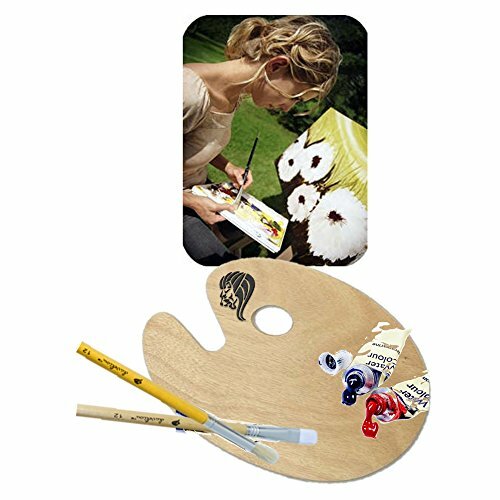 Our 12 long handle brushes come complete with a comprehensive set of shapes, sizes and 2 brush fiber types (Bristle & Nylon) for all media. SUPERIOR PIGMENT EMULSION: Our laboratory formulation is derived from Western and Eastern styles utilizing up-to-date organic and inorganic pigments with water-based acrylic elastic binders, designed to preserve brush handling qualities intrinsic in extra fine oil techniques. Pigment suspension in acrylic polymer emulsion that's brushable, retains peaks and ridges, builds thick layers with relief features that are literally sculptural, or thin layers and washes that resemble watercolors. ADVANCED FIBER PROTECTION: A protective 'snap' is applied to safeguard head integrity and shape during shipping that harnesses brush performance until used. Avoid applying excessive pressure on snapped fibers, as this may damage them. The snap is simply dissolved by swilling the brush head in clean lukewarm water for 30 seconds until the stiffness has gone. It is normal for a few stray fibers to come free at first, 5 to 7% can be expected, but this should quickly settle down. 1-YEAR GUARANTEE: Backed up by a no questions asked 100% Money Back Guarantee. If you have any problems, we'll replace your brushes or give you your money back - rest assured we won't let you down. Daveliou offer creative solutions, reliability and exceptional service to our customers. Perfect for kids, students and advanced painters - makes an ideal gift!